Okay, darlings; today I’ve decided to do something a little different. 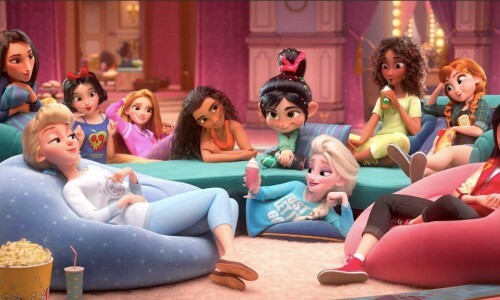 The trailer first for Ralph Breaks The Internet, then review. As we check in on the gang at Litwak’s six years later, we discover that Ralph and Vanellope are still besties and settled into a nice routine of “working” in their own games during the day, meeting up once the arcade closes and head to Tapper game for root beers, getting eats and watching the sunrise together before heading back to their own games for another workday. And while this is the life Ralph is happy to lead forever, Vanellope mentions that life in her game can be tedious at times, as she knows all the patterns to her game, and like any other child or Disney Princess (because she IS one) starts to wonder if there’s anything else out there. A bit of excitement begins throughout the arcade’s way station when a new “game” called WIFI is plugged in and speculation excitedly runs rampant throughout as they try to figure out exactly what this new game is. Ralph being Ralph, tries to make Vanellope happy by building her an off-road track during a race and while she is THRILLED, the little girl playing is confused, and a tug-of-war begins between the girl and Vanellope until not only is the steering wheel torn off, Litwak accidentally breaks it in half while trying to put it back on. But thanks to the internet, one of the kids is quick to find a replacement wheel for Sugar Rush on eBay, but Litwak balks at the current $200 bid (which in reality is a STEAL when it comes to rebuilding/refurbishing/replacing items on a classic, WORKING coin-op cabinet) and decides it’s time to unplug the game, displacing all its inhabitants. And as Vanellope becomes very scared, sparking glitch fits and misplaced anger at Ralph, decides to be on her own for a while. While the other games take in the homeless candies and sweets, no one is quick to take in the fifteen racers because they’re kids and well, bored kids can lead to the destruction of home and sanity. But then Fix-It Felix and his wife of six years, Sgt Calhoun from Hero’s Duty, decide they’ve always wanted kids and this would be the logical next step, so they take in all fifteen kids with hilarious results. One night, Ralph waits alone in Tapper with two root beers for Vanellope to appear but instead is joined by Felix, whom he then offers the other glass. Felix has never had root beer before and makes a very strange sound that causes Ralph to remember where the Sugar Rush wheel is. 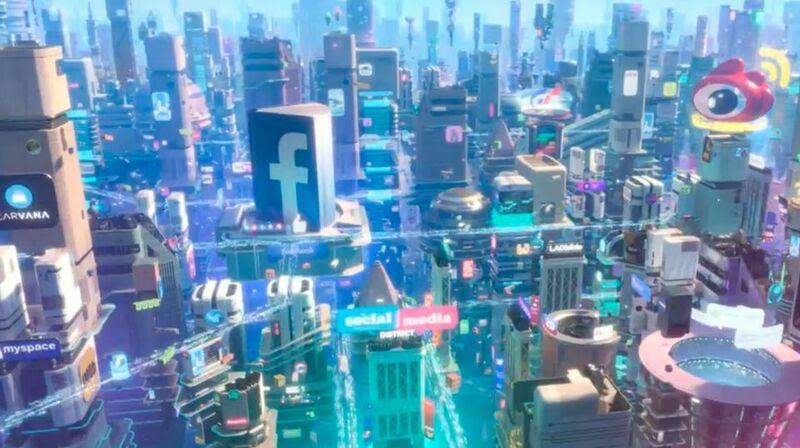 He finds Vanellope and together they decide to visit the internet, which is awe-inspiring in size and scale; looking like the cities of Zootopia, Los Angeles (ca Blade Runner 2049), and Wakanda COMBINED. I found myself saying “WOW” every 30 seconds. eBay itself looks like a colorful, bottomless Costco, and the avatars of human “bidders” and others visiting the internet kind of remind me of Funkos (due to the square heads). Be sure to keep an eye out for some pretty funny (and in one case, touching) cameos amongst the square heads. After a HUGE misunderstanding, Ralph and Vanellope find themselves venturing out further into the internet for help and find themselves in the world of in-game looting, venturing to steal a valuable car from a game that scares the pixel poo out of Ralph and excites Vanellope to no end: Slaughter Race. So much going on during this entire sequence, including one of the most epic car chases ever but to pixel, slightly resembling the chases that made The Fast and The Furious one of the most successful film franchises ever. 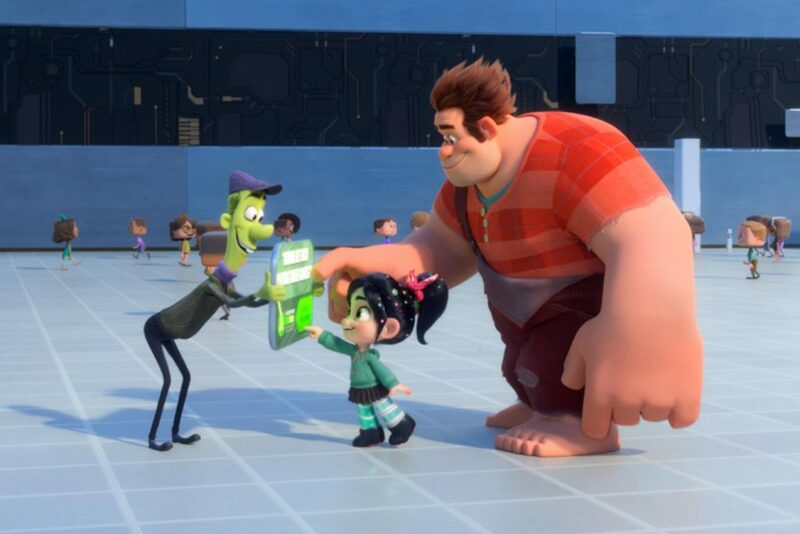 Seeing as the gang’s leader, Shank (center), is voiced by Gal Gadot (Gisele from F&F 4, 5, and 6), it’s also one of the smoother transitions to meeting the woman who becomes Vanellope’s new friend, much to the chagrin of Ralph. Another standout is Yesss, voiced by Taraji P. Henson, who has a wardrobe that includes a fiber optic fur coat I expect to see at comic conventions to come. 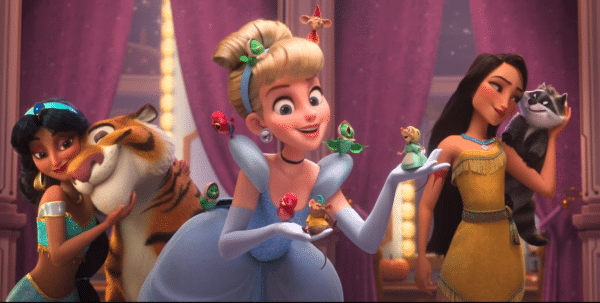 I know you’re also here for the Princesses and they DO NOT disappoint. After some downtime with the Princesses, Vanellope teaches the ladies a new way to dress and in return, they offer her advice…which includes the question of whether her “song” guides her correctly. Ralph becomes jealous of Shank and Penelope’s burgeoning friendship and when he accidentally hears Vanellope and Shank’s private conversation, he turns to the one place one should never go: The Dark Net. What follows might be a little frightening for younger viewers but where it ends is a place of understanding. 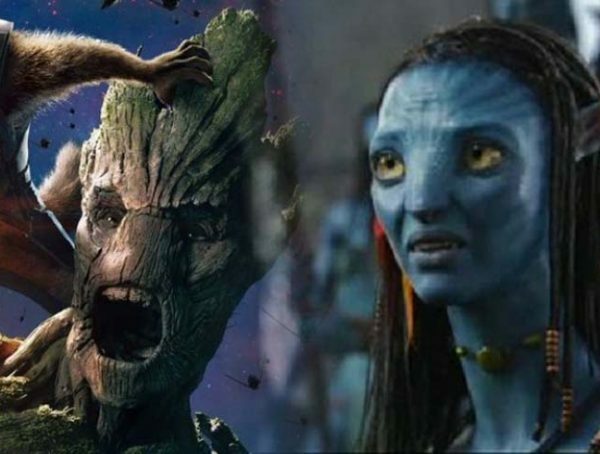 No matter the age of their children, parents will absolutely cry at some scenes because they know they will be experiencing them a particular moment for years to come. 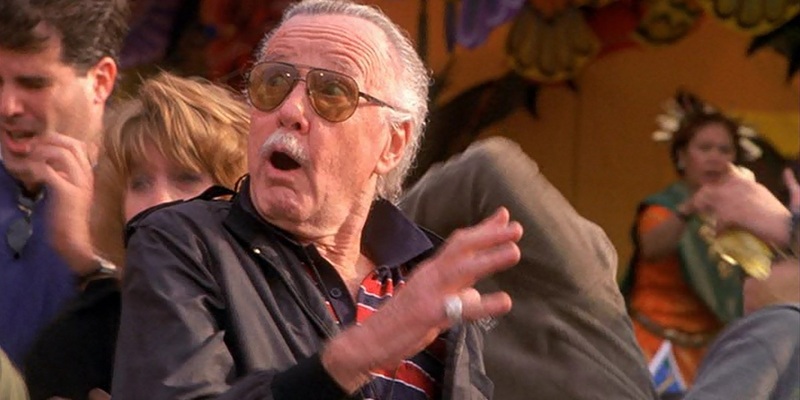 There are some internet jokes that most children won’t get due to the fact most weren’t even born when sites like Friendster existed but that’s okay, as there are so many Disney crossovers happening, they won’t even care. There is something for everyone in this film and that’s why I will be MORE than happy to welcome it into my own film library when it’s released for purchase. 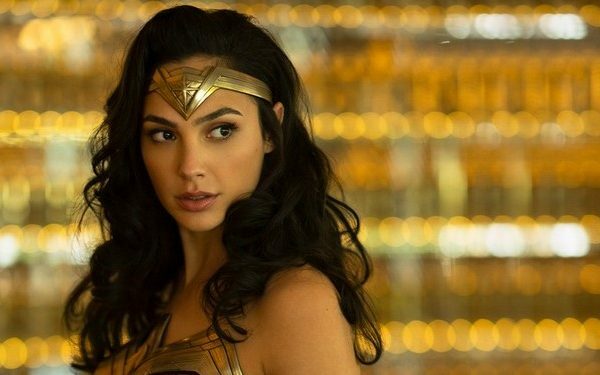 Everyone watched the end credits with a smile on their face and tapping their feet to the film’s theme song, “Zero” by Imagine Dragons. STAY THROUGH THE ENTIRE END CREDIT SEQUENCE AS THE PAYOFF IS HUGE. 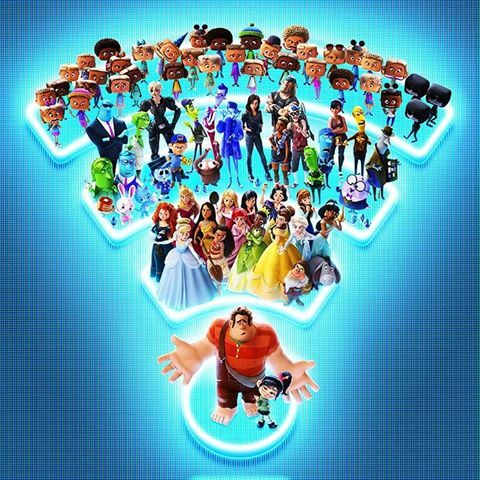 Ralph Breaks The Internet opens November 21st, with early showings on the 20th (check your local theatre).